I was itching to read a good YA novel that was different and entertaining. Drawn by Chris Ledbetter was just that and more! Ledbetter was able to write a contemporary fiction novel with fantasy elements taken from and mixed with the art world. Picture A-ha's 1985's innovative music video of Take On Me, with its mix of real-life and pencil-sketch animated characters. That was so cool! And in turn I found Drawn to be just as unique and different from any YA book I've read. In many ways, this novel took me back to my high school years, when I first fell in love and drawing was one of my hobbies. Cameron has a crush on Farrah. He also likes to draw, is an avid gamer and is your average teen boy. Seems pretty typical one might think, but it's not. Cameron also lost his mom to cancer a year ago, has a close relationship with his Dad and has an old Italian artist as his mentor. This is a kid who is still hurting and drawing helps him cope. When he is given an old sketch book and decides to draw Farrah in it, everything changes. Farrah comes alive in the sketch and Cameron discovers she's now part of Terra Sempre, a Renaissance world drawn somewhere beyond the pages of the sketchbook. And if he doesn't get her out, the Farrah in his world will die. What an imaginative world! 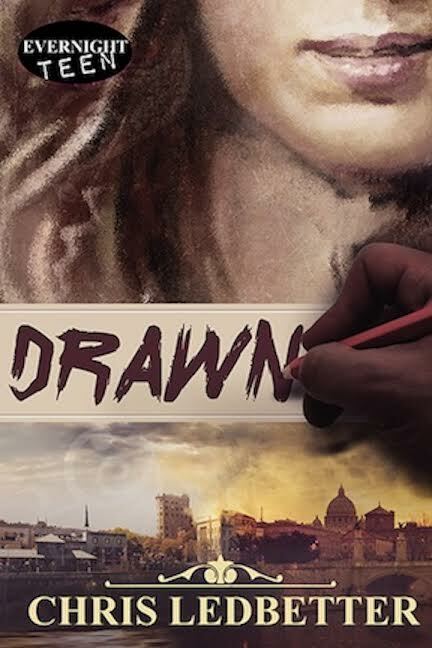 With a unique plot, believable characters, and a story line that flows quickly from page one, Drawn takes you on an adventure that will make you happily escape into a world of art and Italian history. I was hooked from the very beginning. Cameron is a great character. 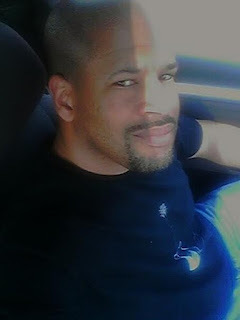 I liked him very much and wondered how he was going to get out of his predicament. The story is never predictable, but a fun and fast read. I also liked that Cameron is African-American and Ledbetter adds diversity in his novel by including an interracial romantic relationship which is lacking in today's teen novels. Drawn has a satisfying ending but it did leave room for a sequel. When I asked the author about this, I was thrilled to find out that he is currently working on the second book. Of course, I simply can't wait to read it! Drawn has made it on my list of best YA novels read in 2015. I look forward to revisiting Terra Sempre and escaping into what I consider a "very cool" novel. To read more reviews, please visit Chris Ledbetter's page on Italy Book Tours. 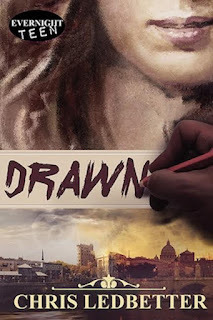 Head on over to my personal author blog Essentially Italian where I interview Chris Ledbetter about his debut novel Drawn.